Listen, we all live in the world of peak television. There are more people creating television shows than ever before and that doesn’t include people producing exclusively for other platforms like YouTube or Vimeo. So, it is easy to miss something but here at Nerds on Earth Headquarters, we occasionally hit the Nerd Alert button to make sure that you don’t miss something that is truly good and worth supporting. And today, we hit the button for Netflix’s recently released show The Dragon Prince. Now, part of why you should look at this animated show is that it has some quality storytellers working together. First, Aaron Ehasz is one of the creators and his most well known work before this was the fantastic Nickelodeon show Avatar the Last Airbender. (If you have never indulged in the greatness of that show because it was a cartoon, you should, as it was maybe the best show being made on television in any format during the time it was released.) Second, Ehasz partnered with Justin Richmond, who has previously worked in the realm of video games, notably Uncharted 3. The storytelling credits and experience they bring give you reason to check out the show, but the first 5 minutes will let you know if the show is for you or not. 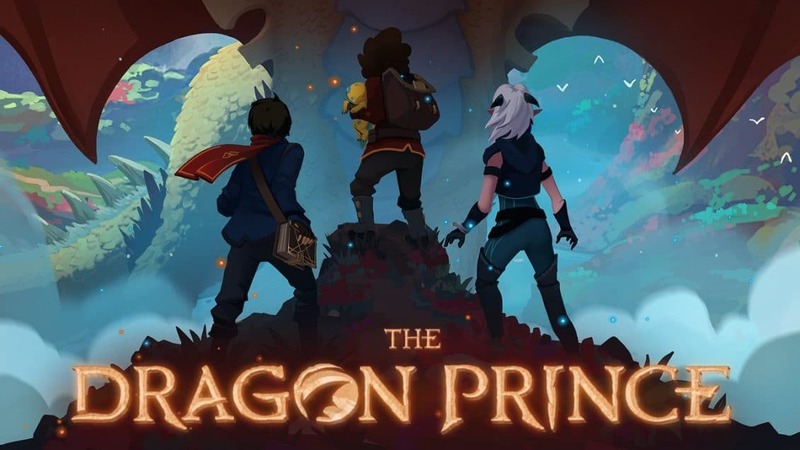 While The Dragon Prince is a cartoon, it is telling an epic story, which is set up from the very get-go. There are dark histories, explaining how the humans and the elves have come into conflict, warring especially over the death of the egg that housed the great dragon’s prince. Personally, a great, epic setting will always get my attention and this show does an excellent job of setting up enough of the story without overwhelming me with all the details. It is a good hook; there is enough there to start but you know that the potential exploring could be realized in the series over time. So, it checks the epic box and catches your attention. But that alone is a hard sell for digging in to a new show. You need more. And this show brings that in spades. We very quickly get the set-up of our three main protagonists: a boy prince, his prince half-brother and an elven assassin, who, on her first mission proved unable or unwilling to kill someone who she encountered. To avoid spoilers, I don’t want to say much more but these characters serve as the backbone of the first season of the series. But the side characters are also interesting. The King is richly and robustly introduced and he feels like a noble king with a kind heart. When he becomes aware of a plot on his life by powerful assassins, he wishes to protect his sons so sends them away, while also admitting that he may pay the price for the dark magic humans have used. His right hand man is a magic user, who also is the father of a magic using daughter, who is the same age as the oldest son, and an arrogant knight son. The tapestry of the show is rich but it is made richer by how great the characterizations of the people involved are. Does some of it rely on fantasy tropes? Certainly. But it does so in a way that doesn’t feel dated. And the show works well to show fantastic representation across the series. Rayla is the above mentioned assassin character and she proves to be fully capable but also doubts herself. Powerful and yet questioning. That character, especially in this genre is a needed one for young girls, who need to know that power and confidence aren’t the same thing and sometimes it takes working through doubt to realize. Additionally, the creators made the interesting choice to make one of the side characters, General Amaya, deaf. Again, we see a powerful, smart, capable leader who happens to be deaf. Her use of an interpreter and American Sign Language is really refreshing and completely unexpected but I think it makes the tapestry of the show that much richer. 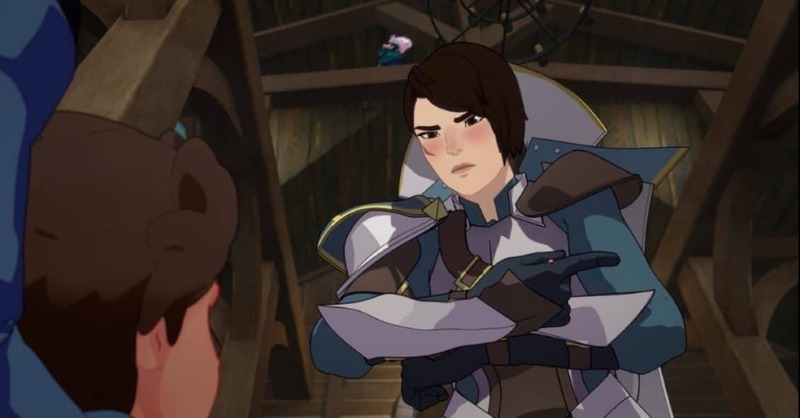 Now, there have been complaints about The Dragon Prince and its computer generated animation style. In general, I am much more likely to care about story over visuals, so I may not be the best critic on this point. The show’s CGI style is said by some to be too choppy to watch but personally, it felt like I was just watching an older cartoon along the lines of Belle and Sebastian, and, having been raised on that style, it didn’t bother me the way it did others. 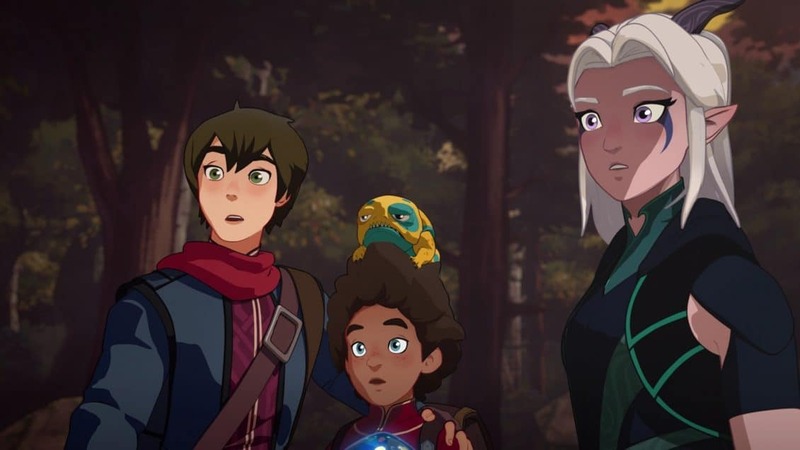 All in all, you should be willing to give season one of The Dragon Prince a try. It has the starts of a compelling world, some great characters who exhibit far more than the normal cartoon and fantasy tropes and it has a story that you can get invested in. For certain, it is a kid-friendly show and the 9 episodes average around 26 minutes, so it moves fast, doesn’t get bloated and, thankfully, we know that production is underway for season 2 on Netflix as well! Horror for the Pathfinder RPG: Do you get excited about jump scares? 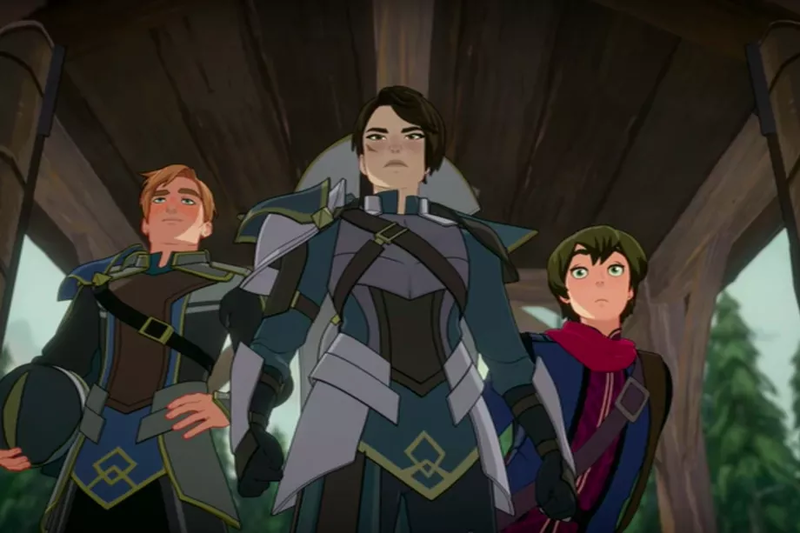 Dragon Prince Season 2 is just as great.